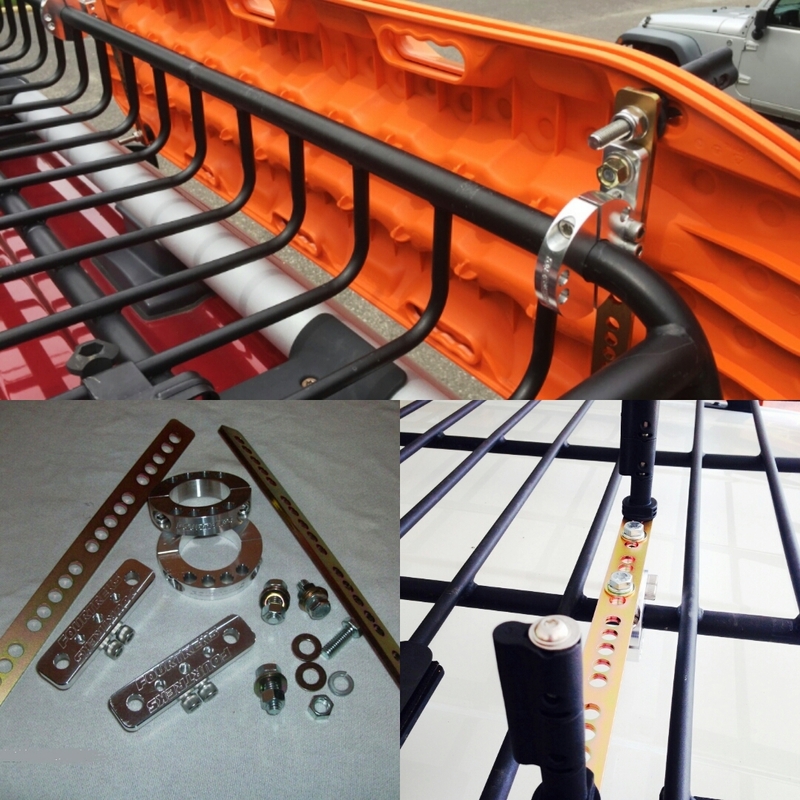 Select your roof rack or roll cage tubing diameter. --------------------------------------------------- 0.75” (3/4”) Square Tubing (Roof Rack/Tire Carrier) 0.75” (3/4”) Square Tubing, Rock Hard 4x4 rear bumper rock rack basket 1.0" Square Tubing 1.0" Square, Hanson rear bumper Small Basket 1.0" Square, Hanson rear bumper Small Basket 1.0" diameter (Baja Rack Roof Rack) 1.0" diameter (ARB Roof Rack Top Tube) 1.0" diameter (Defender Roof Rack) 1.0" diameter (Gobi Roof Rack) 1.0" diameter (Yakima Roof Rack basket) 1.0" diameter (Coleman Roof Rack Basket) 1.0" diameter (Safety Devices Roof Rack Rover) 1.125" (1-1/8") diameter 1.25" (1-1/4") diameter 35.5 mm Dia. (ARB Roof Rack/TOURING Rack) Steel Flat 35.5 mm Dia. (ARB Roof Rack, Bottom Tube) 1.5" (1-1/2") diameter 1.625" (1-5/8") diameter 1.75" (1-3/4") diameter 1.875" (1-7/8") diameter 1.875" (1-7/8") diameter (ARB Front Bumper) 2.0" diameter 2.0” diameter (Early Bronco stock rear Bronco roll cage section) 2.25" (2-1/4") diameter 2.375" (2-3/8") diameter (+$2.00) 2 3/8” diameter (Protofab Wild Horses 4x4) (+$2.00) 2 3/8” diameter (Buck Stop Bull Bar Center Section (+$2.00) FJ Cruiser Roof Rack 2006-17 1.75" (1 3/4") dia. TJ and JK stock front roll bar section 1.75"(1 3/4") dia. TJ and JK stock rear roll bar section 2.25"(2-1/4") dia. Yamaha Rhino stock roll cage 1.75"(1 3/4") dia. Xterra roof rack 99-2004 2.0" dia. Xterra roof rack 2005 Large dia. Note: MAXTRAX Recover Boards and Mounting pins not included. Note: These mounts will work with TRED Recovery Device when used with the mounting brackets that TRED makes to mount their boards. Contact us for more info.